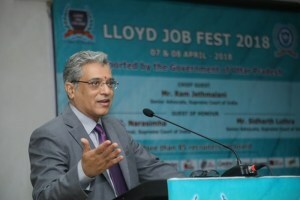 •	The Supreme Court appointed senior advocate P S Narasimha, who is assisting the apex court as an amicus curiae in the BCCI matter, as mediator for resolving various disputes related to cricket administration in the country. •	A bench of Justices S A Bobde and A M Spare was informed by Narasimha that former apex court judge Justice (retd) D K Jain has assumed charge as the ombudsman of Board of Control for Cricket in India (BCCI). •	The bench also asked Narasimha to look into the dispute relating to release of funds by the court-appointed Committee of Administrators (CoA) to various cricket associations. •	Besides, it restrained all other courts in India from entertaining or proceeding with any matter pertaining to BCCI and state cricket associations. •	The apex court had on February 21 appointed its former judge Justice Jain, as the first court-appointed ombudsman for BCCI. 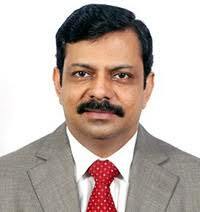 •	The Centre has appointed MR Kumar as the Chairman of the Life Insurance Corporation. •	Kumar will hold the Chairman post for five years, according to a Personnel Ministry order. •	Prior to this elevation, Kumar was Zonal Manager (In-Charge) of North Zone, Delhi. •	The Centre has also appointed Vipin Anand and TC Suseel Kumar as the Managing Directors of LIC for five years. •	While Suseel Kumar is Zonal Manager (In-Charge) for South Central Zone, Anand is the Zonal Manager (In-Charge) for Western Zone. •	Retired Supreme Court judge Pinaki Chandra Ghose is likely to become India`s first Lokpal or anti-corruption watchdog. •	His name was finalised and recommended in a Selection Committee meeting comprising Prime Minister Narendra Modi, Chief Justice Ranjan Gogoi, Lok Sabha Speaker Sumitra Mahajan, and Mukul Rohatgi. •	Lokpal is a three-member, anti-corruption watchdog comprising a chairman, a judicial and non-judicial member. •	The members of the Lokpal will include eight members - former High Court judges and civil servants.